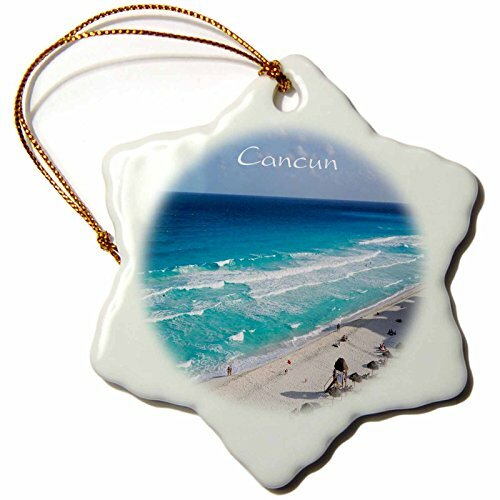 Image of Beach At Cancun Mexico Ornament is a perfect addition to your tree or as a window decoration. This glossy porcelain ornament is a great gift for family and friends, commemorating each holiday or special occasion. Image printed on both sides; measures 3 inches. A strand of gold thread makes it easy to display this fantastic keepsake. 3dRose Mandala Elephant Snowflake Ornament, 3"